The above video was shot last June in Chicago at the 3rd International Congress on 3D Dental Imaging. Even though the video is almost a year old, I believe what I said still holds true. I've been involved with 3D imaging for a while now and I continue to be amazed at the things that I see which would not have been possible without this technology. We had a new server installed last Friday which, among many other benefits, features almost 2 terabytes of storage. The greatest use for that amount of storage will be the 3D scans that I continue to archive. Our old server had limited disk space and was making storage problematic but now I've got more than enough to do what I need to do. As dentistry's "Technology Evangelist" I often find myself promoting technologies that others may not understand yet. To those of you who are questioning the need for 3D, take a look at a few scans. Ask your colleagues who use it what they think of it. Of better yet, drop me an email and come take a look at my Gendex CB-500HD and see for yourself. The increased knowledge will change the way you practice! Not long ago, I told you about the USB 3.0 standard that was coming soon to USB devices that you'll be purchasing. The latest device to be added to that mix is the Samsung Story. This 3.5 inch portable hard drive is 10 times faster than current USB 2.0 devices. It's available in 1TB and 2TB sizes and with USB 3.0 speed, backing up even large amounts of data will be much easier than it is currently. Also, factor in getting the info back off the drive. In the case of a crash, it's important to get the backup info onto a new server or machine that will act as the server as fast as possible. The Story will allow you to do just that. SEOUL, South Korea--(BUSINESS WIRE)--Samsung Electronics Co., Ltd., a world leader in digital consumer electronics and information technology, today announced the fastest external hard drive yet in its STORY™ Station product portfolio – the Samsung STORY™ Station 3.0 with the SuperSpeed USB 3.0 interface. The top-of-line 3.5-inch external hard drive now offers 10 times faster speed compared to the previous USB 2.0 interface, making it the ideal storage solution for saving and retrieving crucial data in the blink of an eye. The SuperSpeed USB 3.0 interface offers a maximum transfer rate of 5 gigabits per second (Gbps) compared to 480 megabits per second (Mbps) in USB 2.0. Users can now transfer 4 MB of music (equivalent of a 3-minute song) or image files (6megapixel camera in hi-resolution photos) in approximately 0.02 seconds and an HD movie in 2.3 minutes. The new interface is backward-compatible with USB 2.0 and 1.1 interfaces. 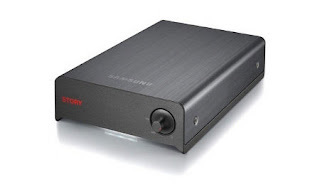 In keeping with Samsung’s world-class design tradition, the STORY Station line-up is the winner of an iF award 2009 in product design category. The minimalist design was inspired by retro electronics and combines a grey, brushed aluminum casing with the logo stenciled in red. The casing materials are RoHS-compliant, and the ventilation slits facilitate even heat dissipation to ensure reliable performance. Designed with the environment in mind, the STORY Station 3.0 features three energy-saving modes including idle, sleep and suspend. The standby power level meets requirements for the European Union EuP (Energy Using Products) Directive for Standby Regulation. The STORY Station 3.0 drive, available in densities ranging from 1TB to 2TB, is a part of the growing STORY product portfolio. The line-up now offers the widest range available in premium desktop storage – The STORY Station USB 2.0, the STORY Station Plus with e-SATA and USB 2.0, and the latest STORY Station 3.0. Preloaded software suites include Samsung Auto Backup, SecretZone™ and SafetyKey™ for data encryption and password protection. The Samsung STORY™ Station 3.0 drives will be available globally now and it features a three-year warranty. As you probably know, I've been thrilled with the technology that GM incorporated into my Tahoe Hybrid. 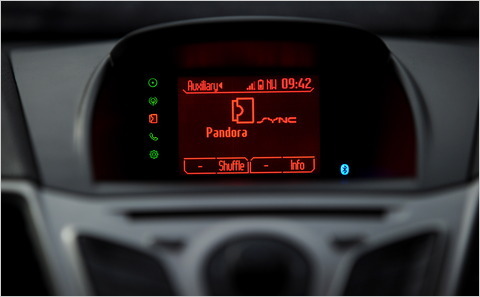 However, Ford has done an amazing job with their Sync Technology. The latest generation has taken it one step further. The newest version allows you to access Pandora and have your Twitter feed read to you. This is done via BlueTooth from your smart phone and uses a new Ford application called AppLink. With satellite radio, I'm not sure why I'd want to access my Pandora account over my phone, but maybe that's a huge deal to a true music junkie. However, this is only the beginning. There will be lots more to come of this system as the company develops more ways to use it. There is a great article in the NY Times. Check it out here. Well, here's one of those items that makes you think 'There is no way that I can be that old." It seems that the venerable floppy disk... he of the 1.44mb capacity... is going the way of the dial telephone, VHS, and CRT monitor. I can remember my first true digital camera. My Sony FD-91. It could take photos at 1024x768 resolution and recorded the images on a floppy disk. At that time it was such a huge deal that my life was littered with floppies as I took picture after picture. Sometimes you could even get almost 20 pictures on one disk! Life moves on and the wheels of tech keep turning. 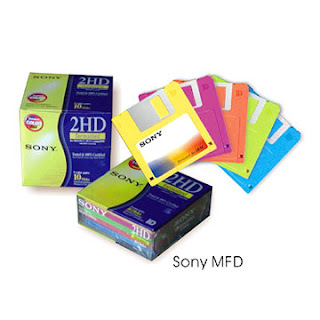 To that end, Sony will sell its last floppies in March of 2011. If you happen to have a need for them, stock up now. If you are in the market for a bunch of storage, check this out. Newegg is selling a 1 TB (yes that's one terabyte) drive for $70 until May 1. Get out your credit card and grab one or more of these babies before they are gone. This is an insane price. Wow! The Western Digital Caviar Green 1TB Hard Drive uses less power and supports quieter, cooler-running desktop PCs. Its breakthrough 64MB cache makes this hard drive suitable for high-performance home and business computing, as it can handle high-end data-intensive and multimedia applications. 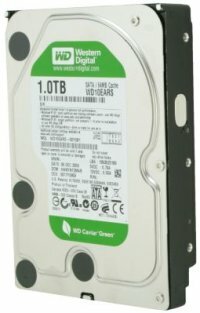 This hard drive incorporates WD’s GreenPower technology, which yields lower operating temperatures and low acoustics, best for ultra-quiet PCs and external drives use. The IntelliPower delivers a fine-tuned balance of spin speed, transfer rate and caching algorithms; IntelliSeek Calculates optimum seek speeds. All the features help the drive to operate with lower power consumption and reduced noise. Pros: Uses the new 4KB physical sector. This increases data consistency and reliability and significantly reduces the amount of overhead needed for ECC and sync (allowing for more space available to the user). Cons: Extra steps needed for WinXP to run on these drives. Other Thoughts: This drive uses the new 4KB physical sector, not to be confused with 4KB logical sectors. When you format a standard drive to have 4KB sectors that only relates to the logical size of the sectors, not their physical size. The physical sector size is set at manufacturing. If you are planning on running Windows XP on this drive you must either jump pings 7 and 8 or run their WD Align application. 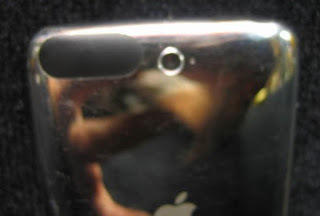 Anyone who follows technology has known for a while that an iPod Touch with a camera is going to show up sooner or later. What really got a start from a lot of us was when a couple of devices with serial numbers that identified them as prototypes showed up on eBay. They didn't last long as eBay pulled them before too long. However, the photos that accompanied the auctions did get grabbed. What's going on at Apple? Usually their hardware is harder to find than the proverbial needle in a haystack and in the last couple of weeks, Apple prototypes are falling out of the sky. Ultradent Announces Exclusive Partnership with Shofu, Inc.
UTAH, U.S.A. & KYOTO, Japan, April 22, 2010 — Ultradent Products, Inc. and its orthodontic division, Opal Orthodontics, today unveiled its partnership with Shofu, Inc., one of the largest international dental materials and equipment manufacturers with over 85 years of industry experience. Shofu, Inc. will be the exclusive distributor of Opal Orthodontics in Japan. Founded in 1922 by Mr. Kajo Shofu III, a Japanese entrepreneur and researcher, Shofu, Inc. has a solid history with regional key opinion leaders and orthodontic specialists. 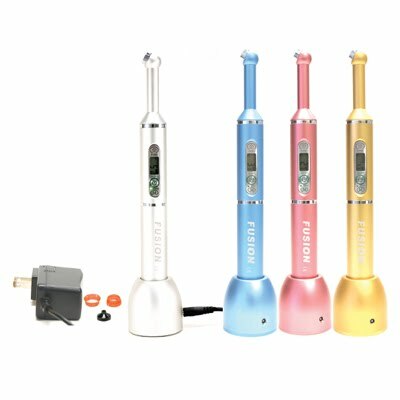 Now a publicly traded company on the Tokyo Stock Exchange, Shofu has remained one of the top manufacturers of superior dental products used by dentists, dental technicians, and dental hygienists with affiliate companies in the United States, Germany, Singapore, United Kingdom, and China. Shofu will be the exclusive distributor of Opal Orthodontics products in Japan. Ultradent Japan will continue with distribution for Ultradent’s dental products through a network of distributors in Japan. Dr. McLaughlin's passion for continuous improvement of the pre-adjusted appliance is what drew him to Ultradent and Dr. Dan Fischer, its president and founder. Last year, Dr. McLaughlin partnered with Opal Orthodontics as an advocate and consultant, helping to lead the global orthodontic education program and as a contributor to new product development and design. In the first quarter of 2010, Dr. McLaughlin represented Ultradent at a continuing education course in Japan, educating over 200 orthodontists on case studies related to the Opal Orthodontics system. ZAP lasers makes good products. For years now, the company has been a leader in affordable lasers for clinical use. The following is a letter I received today that shows the kind of customer service that ZAP provides. This is a great example of a company taking care of their customers! We are writing to inform you that we will be upgrading your Styla MicroLaser charger and power cord. We have recently been made aware of situations where Styla chargers have been used with the incorrect power cord (i.e. a power cord other than the one that was specifically designed for use with the Styla charger). This is an easy mistake to make, especially if you move your Styla charger between locations. The use of the incorrect power cord can cause damage to your charger system. As we truly care about our customers, and want to ensure these issues don't affect your in-office laser usage, we have performed recent updates to the Styla charger. We are planning on sending you a new, upgraded charger for your Styla at no cost to you. We are also sending a new power cord that is clearly labeled, so there should be no confusion on which power cord is to be used with your Styla charger. It is very important that once you receive your new charger and power cord you discontinue use of the old ones and return them to ensure no damage comes to your laser system. We will enclose a Fedex label for the return. If you have any questions about the upgrade please feel free to contact Amanda Brown, Regulatory Affairs Specialist. You can reach Amanda at 888-876-4546, extension "713". We hope you continue to enjoy your laser system, and want to reaffirm our commitment to provide you, our customer with the best laser products and services in the industry. I routinely use computerized drug databases for a whole lot of reasons. Lexi is an outstanding choice and continues to be on the leading edge with their software for the iPad. Now you can get a deal on this great software. 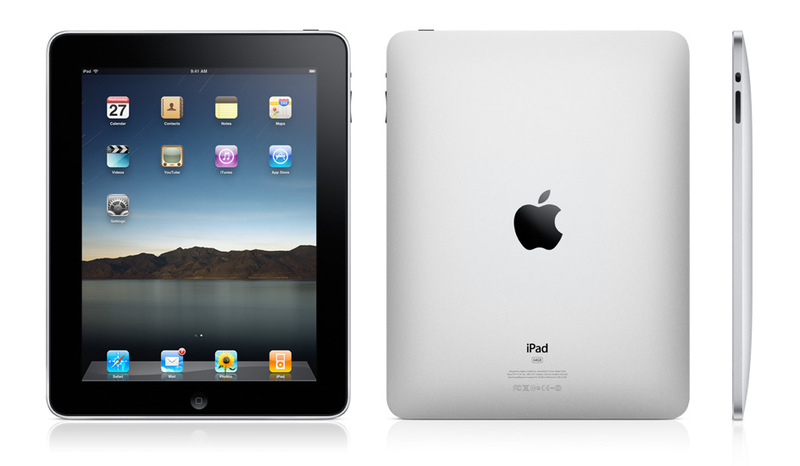 Lexi-Comp is pleased to announce Lexi-DENTAL COMPLETE and Lexi-DENTAL SELECT ON-HAND software is available for the Apple iPad. Instantly screen for potential drug interactions, review continually-updated medication alerts, and reference color photographs of clinical diagnosis and treatment planning with these dental-specific software packages! Download a free trial or purchase using the coupon code DNN410 and save 20%! Discount offer expires April 30. Well it had to happen sooner or later. 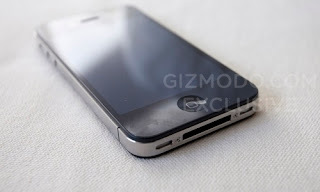 The tech blogging site Gizmodo got their hands on an unavailable 4th generation iPhone and have posted photos and specs of the unit. 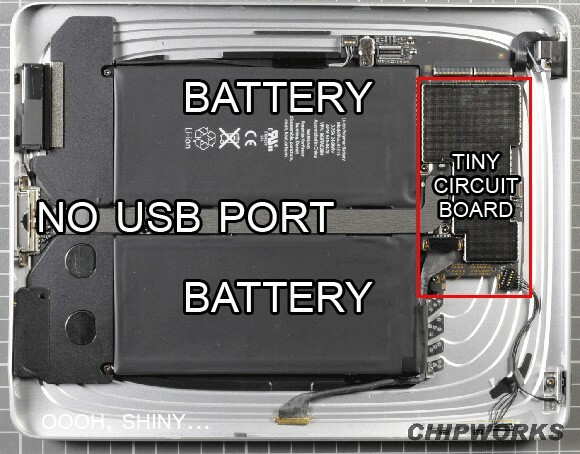 In brief, the rumor is that the device was found on the floor of a bar near Apple headquarters. For a short while it would turn on but then was remotely wiped clean, probably when the owner discovered it was missing. It was in a case designed to look like the existing iPhone so that it would be very difficult for someone to tell the difference. For all the details, check out Gizmodo where they have the device and have taken it apart to prove it's the real deal. I remember being at DPR World a couple of years ago when ZAP! Lasers debuted the Styla hand held diode laser. I've been using one for over a year now and I've really fallen in love with its performance and ease of use. At the Chicago Midwinter meeting in February, Biolase showed a new laser that had a similar look & feel. CULVER CITY, CA and PLEASANT HILL, CA--(Marketwire - April 7, 2010) - Today, Discus Dental LLC and Zap Lasers LLC announced they have jointly filed a lawsuit against BIOLASE Technology, Inc. in federal court in Los Angeles, CA. The lawsuit asserts against BIOLASE claims for patent and trademark infringement and unfair competition, and seeks monetary damages and an injunction. 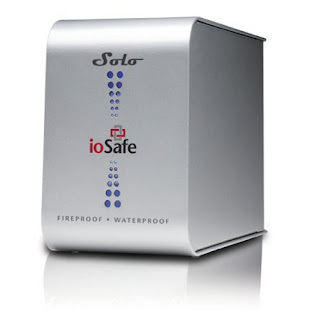 The lawsuit has been filed in view of BIOLASE's offering for sale in the U.S. its iLase™ cordless soft tissue laser. Discus Dental and Zap intend to vigorously enforce their intellectual property and related commercial rights against BIOLASE and any iLase distributors. Discus Dental and Zap Lasers are represented by legal counsel from the New York office of Chadbourne & Parke LLP. About Discus Dental LLC: Discus Dental offers a broad array of progressive, quality dental products and equipment that spans aesthetics, whitening, oral hygiene, endodontics, impression materials, lasers and general operatory devices, including the NV Microlaser™ and NVOrtho™ Microlaser. By selling direct, Discus empowers dental professionals worldwide with premium products and affordable practice solutions. The company is widely recognized as the leading marketing and branding company in dentistry. Discus products are available in over 100 countries. Discus is headquartered in Culver City, California. More information is available at www.discusdental.com. About Zap Lasers LLC: Zap Lasers is a dental technology company that develops and manufactures lasers and laser accessories for improved applications and procedures in dentistry. Specializing in laser research and design, its line of industry-leading soft tissue lasers includes NV Microlaser™ (fka Styla MicroLaser™) and NVOrtho™ (fka StylaOrtho™), the industry's first cordless lasers for soft tissue use; SoftLase Pro®, widely recognized as one of the best designed and most user-friendly desktop dental diode lasers on the market; and OrthoLase®, the industry's first diode laser specially designed for orthodontists. Zap is headquartered in Pleasant Hill, California. More information is available at www.zaplasers.com. Looking for a way to record yourself skiing, biking, or in some other cool activity? Check out DriftCam. It offers high quality video (720 x 480 pixel), 5 mega pixel photos, a 1.5" colour LCD screen for playback, a 5m wireless RF remote control, a 170° wide angle lens, which can be rotated through 300°, and much more! You can attach this to a ton of different things and away you go! For the past 3 months we've been working with the Dentlight Fusion curing light. We've been impressed with the ease of use and most importantly, the intensity of the light resulting in a superior depth of cure. The Fusion is the highest intensity light that we've tested that manages to provide this much power from a battery operated platform. The light routinely has an output of 1500mw/cm2. All of this from a tiny device that is easy to place and easy to use with no AC cord. We're also impressed with the low profile design that makes it easier to get the light parallel to the curing surface. It has a variety of curing cycles that will meet the needs of any user. The price is also right, giving you great value for the amount of energy it produces. This device comes with my highest rating. You can rave all you want over the DVR that your cable company rents to you, but for my money I'd much rather have a Tivo. Not all DVR's are created equal and Tivo, IMO, is the best of the best. There are lots of reasons for this, but let me give you one quick example of how Tivo can make your life easier and even help educate my dental office staff. Oh, and this is a great tech story to boot! It seems that Wednesday morning, my preferred social network tracking program, Tweetdeck, popped up with a Tweet from someone I follow. The tweet was from the folks at Trimara. They make a nice oral cancer screening device that has been on the market about 16 months. 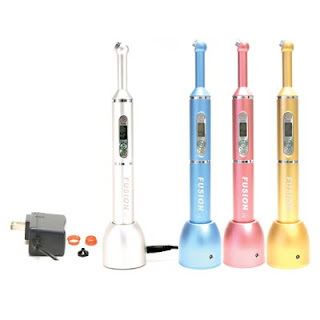 The tweet stated that their product, the Identafi 3000 Ultra, would be featured on Dr. Oz that afternoon. Obviously, this is a big deal. We need more publicity about the ravages of oral cancer. Increasing public awareness is a great first step. More of these terrible cancers would be detected if more people visited the dentist on a regular basis. However, the other reason this caught my eye is because I own an Identafi 3000 Ultra and use it regularly. I anticipated that patients would see the segment and have questions since they know I'm a cutting edge guy. The problem was, how to see the episode so that the whole team is prepared to answer questions. We needed to see the show to be as prepared and informed as possible. This is where Tivo comes in. I went to the Tivo website and logged in. Once into my personal Tivo account, I sent a message to my Tivo telling it to record that day's Dr. Oz show. My Tivo is connected to my home network and the Internet via a USB Wifi adapter and within 30 minutes I received an email from my Tivo saying it had received my record request and that it would record the Dr. Oz show. Sweet! OK, so now I have the show, but how can I get the staff to see it? There is more than one way to do that, but I chose one of the simplest methods. There is a free program called iTivo that is written for the Mac. 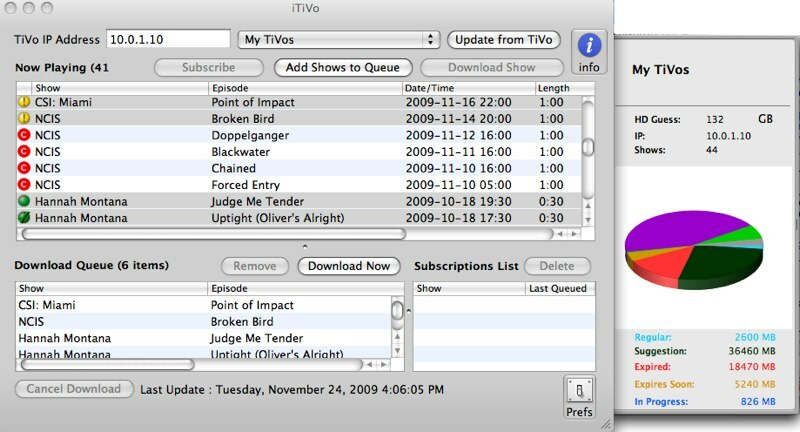 The iTivo program is a free download and allows my Mac to access my Tivo over my home network. 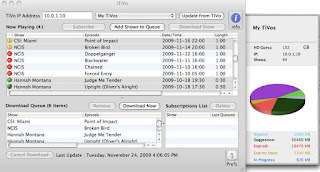 Once I'm logged into the Tivo, I can download the shows which are converted to mpeg4 video which can be played on any computer and lots of media players like iPods. So the program was downloaded, put on a jump drive, and will be shown to the staff tomorrow morning at or organizational meeting that we have daily to make sure our day runs like a well oiled machine. Just one more example of staying on the cutting edge by good use of technology. To put it bluntly, Tivo Rocks! Remember the birth of the smartphone? Back in the day many of us were carrying two devcies, a PDA with our calendar, contacts, and lots of other stuff, and a phone to stay in contact with others. When the two devices merged it gave birth to the smartphone category and people who had been carrying 2 things were amazed and thankful for the simplicity. Microsoft is hoping to spur a similar reaction with the introduction of their new KIN phone. The idea behind the KIN is social networking. Rather than focusing on the phone or the software, the folks at Redmond have instead focused on keeping the user connected to their friends, family, and followers. KIN is designed for people who are heavy social network types that want to stay "always connected" with Facebook, Twitter, and other such sites. It will be available through Verizon in the US (soon) and Vodaphone in Europe (this fall). Even the phone's website is awash in the feel of social networking. Check it out for all the details. I rarely use Safari or IE anymore. Instead I've chosen to use Firefox or Google Chrome as my browsers of choice. There are lots of reasons for this philosophy and one of them is that the programs aren't bloated with all kinds of things I don't want. However, I noticed that after a Firefox update a while back, I was dealing with quite a few crashes which was something I just wasn't used to with Firefox. It turns out that I wasn't the only one. Now with version 3.6.3 released, I've noticed that the stability is back! 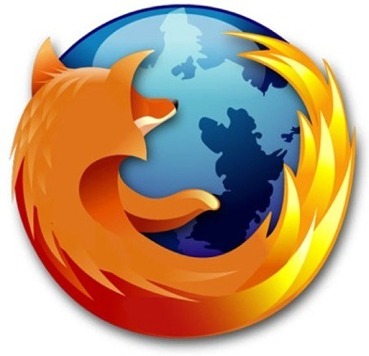 Over the past five months, Firefox has seen a 40% improvement in stability. That’s incredible! While the Firefox development community continues to focus its efforts on stability and performance (i.e., 100% improvement is still being strived for), we’re proud to highlight the most recent numbers. How did we calculate that 40% improvement? 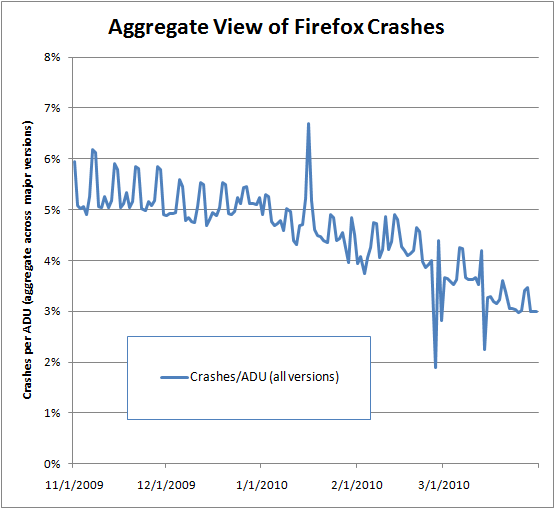 We took a look at the Crash Reports data, along with an estimated ratio of daily crash instances to active daily users of Firefox. 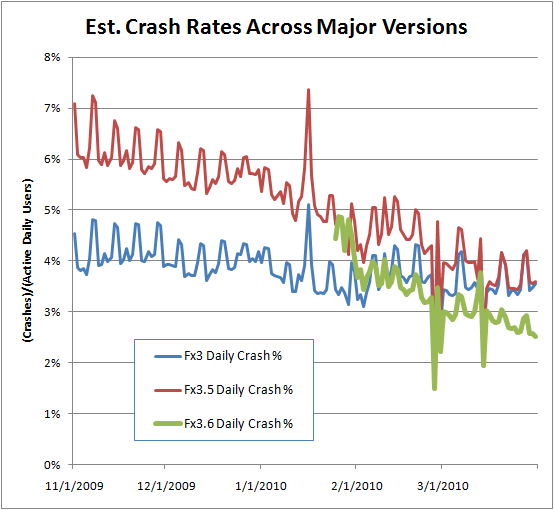 With that data in hand, we first wanted to know how the number of daily crash instances has been trending by major version of Firefox, e.g., is Fx3.6 particularly more stable than previous releases and what does its trending look like? The chart above looks amazing… and it brought us to the next question… rolling up major versions, what does the total universe of Firefox stability look like? Using the same numbers as seen above, we simply added them together to come up with the high-level metric – estimated ratio of daily crash instances to active daily users of Firefox. The trend of the blue line below represents a 40% reduction since early November. Spectacular! So, how exactly did this happen? As mentioned previously, improving Firefox stability was a top level objective of the Mozilla community during the last few months of 2009. That effort was led by a variety of folks across a wide breath of the community… people who saw the many complaints about crashes, collected the data, figured out what was causing the most pain, addressed those issues (sometimes in code, sometimes by working with partners) and saw product improvements. And in addition to hitting a home run with Fx3.6 and reducing the crashiness of Fx3.5, a majority of Firefox users quickly migrated to Fx3.6… adding all that up drove what you see in the charts above. Sometimes I see a product/gadget and I have to pinch myself. Did somebody really bring this to market thinking it was a good idea? To that end, I present the Mickey Mouse MP3 protector. It has a speaker in the bottom that plugs into your device. Screw on the lid and it's protected. Personally I'm thinking that anywhere I need to try that hard to protect my gadgets is probably not a place I need to be taking them in the first place. Although at least at $16.50 the thing is reasonably priced. If you'd like all the details visit the website. After this and yesterday's post, some of you will be thinking I'm a Mac hater and that's just not true. These 2 posts just happen to be what's on my mind currently. Anyway, I was sort of stunned to see the photo above while I was searching and researching technology today. 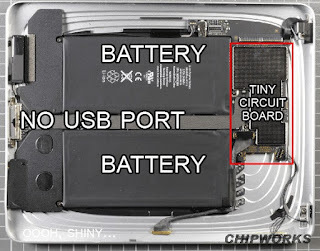 As you can see, the iPad above is basically a very small computer circuit surrounded by a huge battery. That would explain the amazing battery life this device has. I'm still on the fence about getting one though and that kind of amazes me. I have an iPod Touch which I really like and use more for the apps over Wifi than I do as a music device. However, I'm not convinced that I'd use the iPad for anything more. It's definitely a cool device with an amazing screen, but I'm trying to figure out why I would need it in addition to the iPod Touch. Also, when you couple the above info with the fact that I've also got a Tablet PC from Motion Computing that has handwriting recognition, I'm just not sure I need another tablet type device. I'm open for debate on this. Anyone have any suggestions? I've been a Mac guy for about 3 years now. One of the things that lured me to make the switch was the idea that the computers were more stable and easier to use. Overall that has been true. Even though I grew up on Windows and was much more versed in the inner workings of PC's, I'm happy with the decision to move to a Mac. However, one of the things I've noticed over the years is a tendency for some users, especially those long term users, to become what I've come to call "Mac Snobs". If you're a PC user, you probably know one... or a few. These are the people who don't need any prompting to tell you how much better Macs are, how superior the OS is, how they never get viruses, etc. Honestly, for the most part that's true, but there are the occasional problems despite what the snobs say. Here's a great example: Today I updated my MacBook Pro. I knew there was an OS update that had been released a while back, but I was in no hurry to install it. Today when I started iTunes, it informed me there was an update available and I chose to install it. I thought I was installing just an iTunes update, but then I was given the choice to also install the OS update as well. I figured, what the heck, I hadn't heard about any terrible problems, so I said "yes". The install actually worked with one glaring exception. I suddenly have no sound from the speakers that are built into the laptop. The computer no longer knows they exist. So... now whenever I want to use the system for sound, I'm having to plug external speakers into it. Redundant? You can say that again. Once I discovered the problem, I began searching the Net for a fix. What I discovered was that there are lots of people that no longer have sound. Apple is aware of the problem and will fix it with another update sometime in the future. Is this a critical flaw? No. It's really only an annoyance. However, it *is* a problem and I didn't do anything to cause it other than to agree to install an OS update from the gang in Cupertino. So don't let the snobs tell you there are never problems. If they do, send them over to my place. Maybe they can get my speakers working again. Here is a great idea for keeping track of your blood glucose readings. You can put the Myglucohealth app on the phone and then transmit the info to the phone via the Bluetooth connection. There's more to this, but the press release says it best. 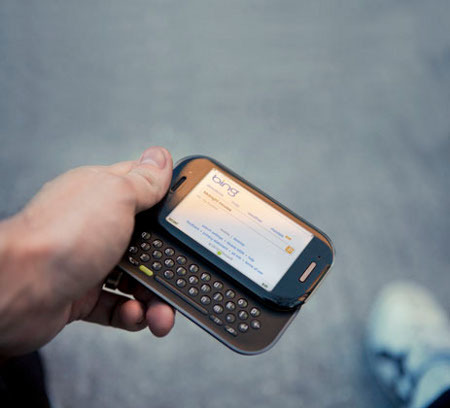 SAN DIEGO, April 7, 2010 (GLOBE NEWSWIRE) -- The MyGlucoHealth Diabetes application for mobile diabetes management is now available worldwide through Ovi Store by Nokia. 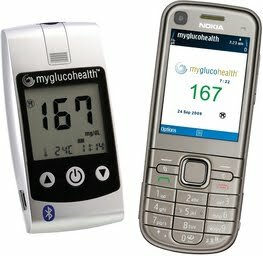 The MyGlucoHealth app allows Nokia handset users to upload and manage blood glucose readings using the MyGlucoHealth online portal. 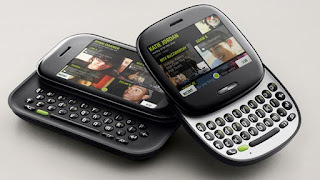 The app is available through Ovi Store for use with Nokia smartphones and feature phones running the Symbian and Series 40 operating systems*. Entra Health and Nokia, the world's leading maker of mobile handsets, are teaming to co-market integrated mHealth solutions that employ the MyGlucoHealth Wireless blood glucose meter through Ovi Store. Wirelessly upload blood tests to the MyGlucoHealth Portal. Review and evaluate results on their handset, as well as chart data or enter weight, exercise and nutritional information. Notify family, physicians or caregivers with automated text message alerts and reminders when results exceed personally established threshold limits. Send and receive secure messages from their physician. Order replacement test strips for their MyGlucoHealth meter. "Distributing the MyGlucoHealth Diabetes app with Ovi Store for Nokia users will strengthen our ability to provide more effective mHealth offerings worldwide," said John Hendel, Chairman of Entra Health Systems. "For persons with diabetes, we believe that MyGlucoHealth together with Nokia handsets offers a unique and far-reaching solution for connecting patients with clinicians, family and caregivers." "To date we have received very strong response from Ovi Store users," Hendel added. "The MyGlucoHealth App has been test marketed for less than 4 weeks and we have received nearly 40,000 downloads from Nokia users in 130 countries." "Nokia delivers global market leadership and superior mobile technology to support our connected care model for solutions that help people live their lives better," said Richard C. Strobridge, CEO of Entra Health Systems. "Together we are providing an easy-to-use solution for diabetes monitoring to the diverse populations Nokia reaches. MyGlucoHealth and Nokia are empowering patients to stay connected to what matters most and improve their own personal care." The MyGlucoHealth Mobile App is available for free from the Ovi Storewww.store.ovi.com. The MyGlucoHealth Wireless meter is available fromwww.myglucohealthstore.com and other major distributors worldwide. The MyGlucoHealth Wireless meter, developed by Entra Health Systems, is the first and only FDA cleared and CE certified Bluetooth-enabled glucometer of its kind in the world. MyGlucoHealth works in combination with a real-time online data collection network to securely upload and manage blood glucose readings using a mobile phone or PC, eliminating the need to maintain personal logbooks. Using automated tools, MyGlucoHealth can set up reminders to encourage patients to test more frequently, as well as to notify family, caregivers and clinicians when testing results fluctuate. The meter, along with the MyGlucoHealth Network, form an integrated telehealth platform supporting patients and healthcare professionals in the control and treatment of diabetes. MyGlucoHealth gives patients more direct control over their care and provides clear lines of communication with clinicians and caregivers. Entra Health Systems designs and manufactures technologies that enhance patient care while at the same time reducing the burden on healthcare providers. Headquartered in San Diego, with offices in Australia and the United Kingdom, Entra Health's products and services are engineered to improve communication between the patient, clinician and caregiver. For more information, visit: www.entrahealthsystems.com, orwww.myglucohealth.net. 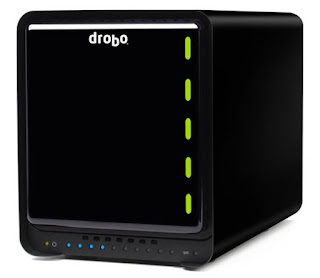 I got a chance to beta test the original Drobo about 2 or so years ago and fell in love with it on the spot. Well now the smart people at Data Robotics have finally come up with the Holy Grail of solutions, the Drobo FS which is a true NAS device that can back up PC's as well as Mac's and provide network storage for any device attached to your network. With 5 bays and gigabit Ethernet, this thing will scream and can provide a redundant backup that can only be read by the device itself. Lose a drive and it's unreadable to anyone else. The Drobo will tell you the drive is dead and when you replace it, it spreads the data over all the drives once more. This is truly the Ferrari of network storage. OK, not everyone who reads this is going to want one of these, but the wrist charger is a pretty sweet device for those that need it. Basically it's a portable charger that allows you to use and charge a device at the same time. The photo above shows a Nintendo DS, but the device comes with 9 adapters so it will charge almost anything. Of course, you don't have to wear it on your wrist. The device and charger can be connected in your pocket, bag, etc and be charging. 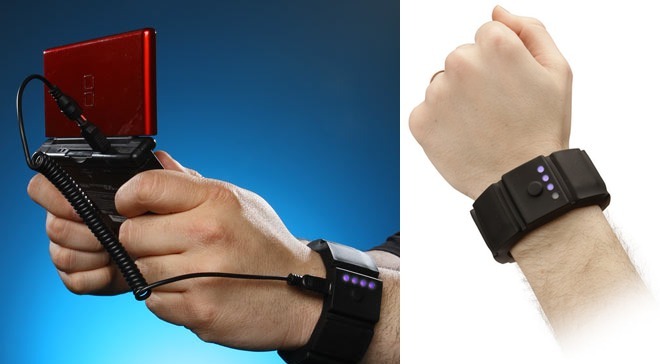 The price is only $35 at Thinkgeek.com If you travel or spend time away from gadgets, this could be just the thing you're looking for. In case you've been unconscious for the past 4 months, Apple has released a new product called the iPad as of Saturday April 3rd. I'm not going to go into what the device is or does as that's been covered ad nauseum everywhere else. However, I did find this interesting tidbit as I was doing my iPad research. It seems that an enterprising tech head was nosing around in the iPad file system and discovered some files that indicate new devices on the horizon. 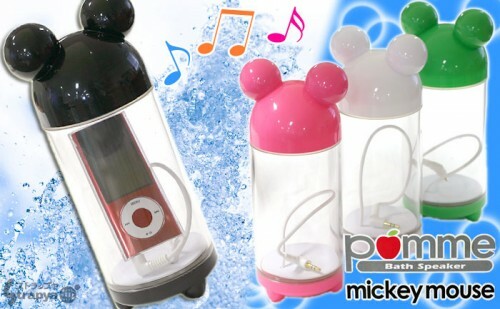 This indicated there are new iPhones and iPods that are being developed which is no big surprise. The interesting part is the inclusion of iProd2.1. iProd1.1 was Apple's internal name for the iPad so this would lead one to believe that 2.1 is well on its way in the development cycle. Of course this isn't a tremendous shocker. The product cycle would indicate Apple *should* be working on the next generation device. It's just weird that it would show up already on the day the first generation is released. For all the lowdown on this story, check out the Boy Genius Report. 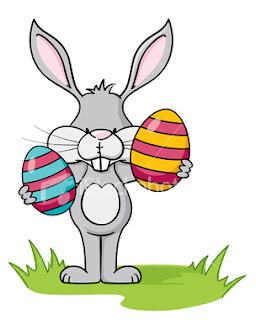 Enjoy the day with family and friends. Some things are more important than blogging and Easter is one of them. I'll be back tomorrow... a man has to have priorities. Since early fall last year (2009) we've been experimenting with the ICON system from DMG in limited cases. The idea behind ICON is a good one. Etch and restore small breakdowns before they become large enough to require typical intervention that requires removal of tooth structure. Overall we've been please with the results, but are still waiting for recalls before implementing the system fully. This split-mouth study aimed to assess the efficacy of resin-infiltrated lesions covered by fluoride varnish (FV) versus FV treatment only of proximal lesions on deciduous molar teeth. The study lasted for 1 year. Children with 2 or more superficial proximal lesions on deciduous molar teeth detected on bitewing radiographs were included. After written parental consent, two lesions in each of 50 children were randomly allocated to one of two treatments: resin infiltration followed by FV (2.26% F) application (test lesion) versus only FV (control lesion). The ICDAS scores of the selected lesions were recorded by 2 clinicians before the treatments (weighted kappa for inter- and intra-examiner agreement >0.79). FV was applied to both test and control lesions 6 and 12 months after the first treatment. After 1 year ICDAS scores were obtained for 42 children and radiographs for 39. One external examiner not familiar with the study scored the radiographs twice (weighted kappa 0.88). Baseline mean age of the children was 7.17 ± (SD) 0.68 and mean def-s was 8.1 ± (SD) 6.9. After 1 year the ICDAS scores of 31% of the test lesions and 67% of the control lesions had progressed (p <>35% and significant. To conclude, resin infiltration in conjunction with fluoride varnish seems promising for controlling proximal lesion progression on deciduous molar teeth. Every once in a while I get a chance to write about a really great human being and this is one of those times. I've known Paul Feuerstein for at least 15 years. In that time he's been a great friend, a dedicated educator, a patient co-lecturer, and a crazy uncle to my family. I love him like the brother I never had. Paul was recently honored by his state of Massachusetts and I could not be more proud of him! North Billerica, MA – (March 31, 2010) – For Paul Feuerstein, DMD a practicing general dentist and one of the dental industry’s most prominent key opinion leaders, 2010 is off to a great start. More recently, Dr. Feuerstein was appointed Adjunct Assistant Professor at Tufts University School of Dental Medicine in General Dentistry. Located in downtown Boston, the school is dedicated to training doctors of dental medicine as expert clinicians. In this role, Dr. Feuerstein will have the opportunity to introduce the latest technologies to the students, faculty and CE course attendees. Dr. Paul Feuerstein graduated from the New Jersey College of Medicine and Dentistry in 1972. He received his B.S. at SUNY Stony Brook in 1968. Today, Dr. Feuerstein serves as a consultant to the dental profession and is a lecturer to dental associations on technology related topics. He is Technology Editor of Dental Economics and a contributor to many journals in the United States and abroad. He has incorporated many of these products and ideas in his general practice in Massachusetts and frequently presents these products ideas in his seminar series.